DOCSIS Proactive Network Maintenance (PNM) allows cable operators to leverage existing technology to troubleshoot and maintain their network more efficiently. 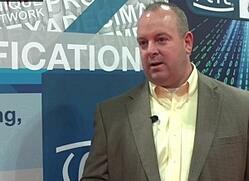 Steve Harris, Senior Director of Advanced Network Technologies, Education and Engineering for the Society of Cable Telecommunications Engineers (SCTE) SCTE, developed a course on Proactive Network Maintenance designed to help broadband professionals better understand the multiple tools and techniques for PNM. This course highlights How to Use PNM, Full RF Capture with PNM, Next Generation PNM and how technicians can apply these in their everyday jobs. Harris, who was recognized by SCTE as the inaugural Learning and Development Professional of the Year, has a multifaceted background that includes over two decades of multiplatform network system engineering experience. Harris holds 50 IT industry certifications and a degree in Networking. He has served as vice president of the New Jersey Chapter of SCTE and on the Board of the Directors of the SCTE South Jersey Chapter. Steve's industry activities include the publication of papers and articles. He has been a speaker at numerous industry conventions and seminars around the world. We were delighted that he was willing to spend some time talking with us about the training course he conducts on DOCSIS PNM. ZCORUM: Steve, it looks like your background is tailor made for your role at SCTE. I see where you were a continuing education professor and network administrator for Camden County College in New Jersey. HARRIS: That’s right. While I was there I developed training programs for several companies, one of which was Comcast. I later joined Comcast, where I developed customized training programs for our employees as part of Comcast University. ZCORUM: You’ve put together a PNM course for SCTE. How familiar are SCTE members with PNM technology and what it can do for them? Is it still a fairly new concept at this point? HARRIS: Yes, I would say it is still in its new stage. It’s like the IPV6 conversion. When we started training on IPv6 we were still in that slower ramp up stage and then all of a sudden it was exploding. It’s the same with PNM. We have a number of people that actually signed up for the training but we’re still in that ramp up stage. Comcast has been leading the way on this technology but many other operators are starting to understand the value and benefits of PNM and now they’ve started to move in that direction as well. ZCORUM: So how did you go about putting together the curriculum for the course? HARRIS: We started with a blank slate and began building an outline. As we began developing the curriculum, we were in regular contact with Comcast as they were the first out with tools supporting this technology. We got in touch with Larry Wolcott, Distinguished Engineer and Fellow with Comcast, to get his input and feedback. We had worked with Larry at Comcast previously and knew his input would be invaluable in building the course on PNM. Right out of the gate Larry said training in this technology was definitely needed. So we grabbed that opportunity and asked Larry to sit down with us and help us iron out some of the competencies that installers and engineers already have that would mesh with the technology in PNM. And we wanted to correlate that with any additional knowledge they needed to be successful with a Proactive Network Maintenance program. After outlining the fundamentals, Marty Davidson, who at the time was SCTE’s Vice President of Engineering & Network Operations and I began working to make sure we were aligned with the CableLabs PNM effort. We had consultations with Alberto Campos, Principal Architect at CableLabs as well as MSO’s like Comcast that were looking to deploy this technology. Along with Larry we began showcasing this technology at the CableTec Expo. We’ve also had Comcast down to speak about PNM at our SCTE Georgia Tech program. And Alberto Campos, who I mentioned, is doing a same type of presentation in Argentina on Proactive Network Maintenance for the Seminar of International Telecommunications. So the curriculum was built from the interaction at these events and is actually being used to get the word out about PNM tools in the US and internationally. ZCORUM: So as the course has developed, who is it that’s signing up? Are they larger MSO’s with their own tool like Comcast who use your course for training their own people, or are some of these folks just wanting to get an idea of what PNM is and what it can do, even before they have a tool? HARRIS: MSO’s are sending their people to the training in preparation for diving into the new technology. But we’re also seeing a lot of people that want to know more about PNM and its capabilities. They want to know how this tool/technology is different from what they’re already doing to troubleshoot their network. That’s a lot of what we see happening with this course and that is shaping how we’re presenting PNM in the industry. We’re finding that they want specific details about the technology to justify the time and effort and resources they’ll need to purchase or build a tool, get it set up and their people trained. Operators have to keep their return on investment in mind whenever new technology comes along. But, they are amazed and know the potential when they see full spectrum band capture in the cable modem and the return path full spectrum that’s going to be accessible in the field as well. It’s a game changer no doubt about it. It improves the network to such a degree that it’s not only refining network health but also increasing the efficiency of the installers and plant techs that troubleshoot the network. ZCORUM: So a big part of the value of a PNM tool is how efficiently an operator can troubleshoot an issue? HARRIS: That’s right. The key is creating those efficiencies. The old way of spending 80% of the time looking for a problem and only having 20% of the time to get it fixed is changing. With this new technology you reverse that traditional maintenance scenario to 20% looking because it’s fast and 80% repairing. That’s a huge quantifiable difference for operators. They’re getting back real time on the clock for those installers and maintenance guys. This frees them up to do other things like scheduling proactive maintenance of the network. They can spend time analyzing trouble spots proactively, getting those resolved and having a smooth running network instead of only running around putting out fires. That old break/react scenario is being minimized. ZCORUM: Thanks for your time today, Steve, and thanks for the great job SCTE does in keeping its members trained on the latest DOCSIS technologies. Want to learn more about using Proactive Network Maintenance (PNM)? Watch this informative free webinar on how DOCSIS PNM tools can help you find hidden impairments in your upstream cable plant.